The second Norwegian F-35 Lightning II touches down at Luke Air Force Base, Ariz., Nov. 10, 2015. The jet marks the scheduled arrival of the first of two F-35s for the Royal Norwegian Air Force, making Norway the newest partner in the international F-35 joint-partnership program at Luke. 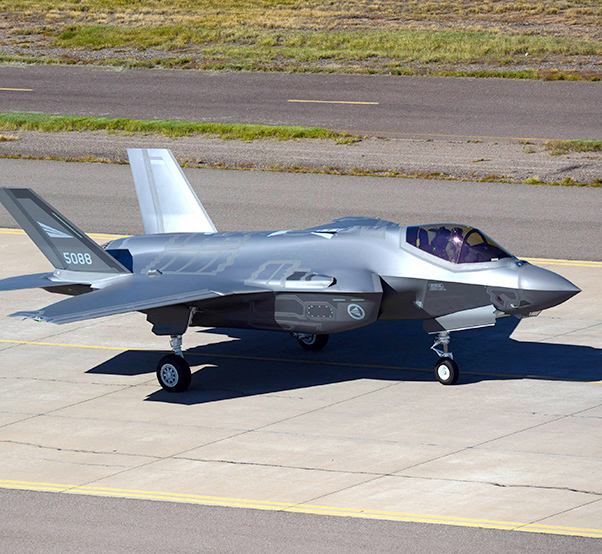 The first two Norwegian F-35s arrived at Luke Air Force Base, Ariz., Nov. 10. Shortly after, a Norwegian pilot flew the F-35 Lightning II for the first time, in conjunction with the Royal Norwegian Air Force’s birthday. The F-35 program took its first step forward, integrating partner nations with the arrival of the first Australian F-35 Dec. 18, 2014, at Luke. 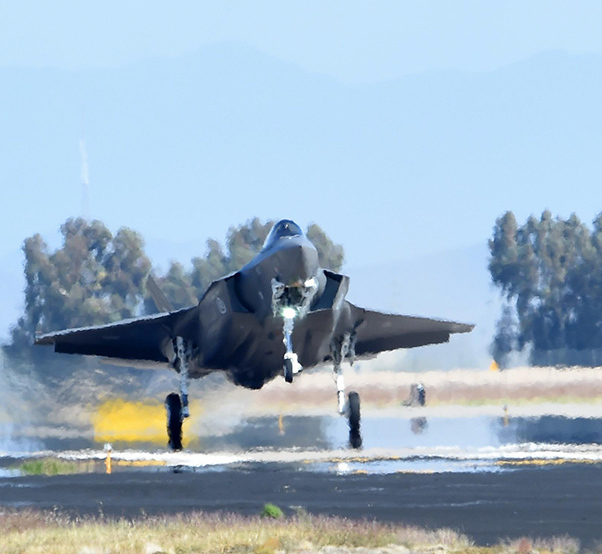 Almost a year later, the next big international step for the program came when two Italian pilots completed their first flight in an F-35 here Nov. 5. 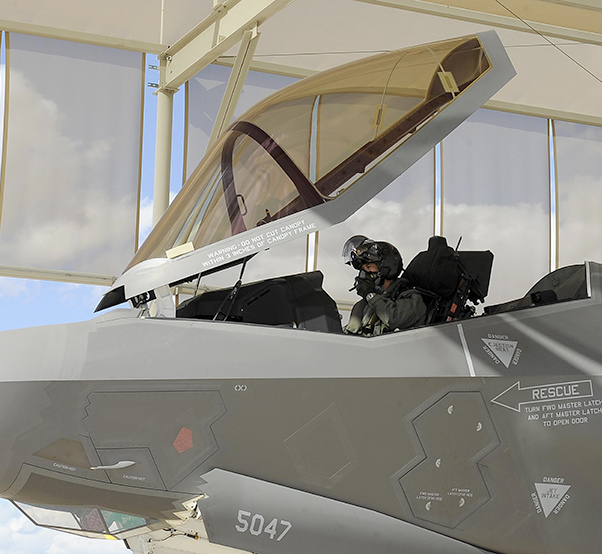 This marks the second international partner to have F-35s arrive for training at Luke. The day was a result of the combined efforts of the U.S. and its Norwegian partners. 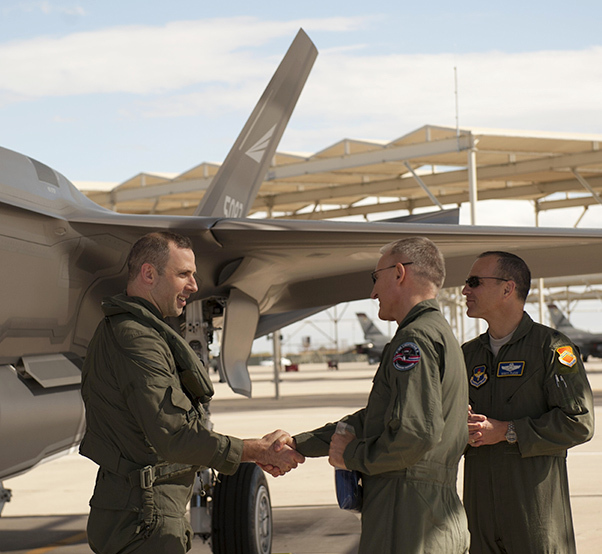 Maj. Gen. Morten Klever, the program director of the Norwegian F-35 program, accepts the first two Norwegian F-35 Lightning IIs after they arrived at Luke Air Force Base, Ariz., Nov. 10, 2015. Shortly after, a Norwegian pilot flew the F-35 for the first time, in conjunction with the Royal Norwegian Air Force’s birthday. 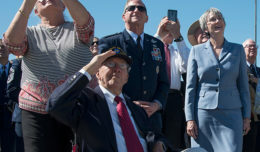 Similar to the partnership Norway had with the U.S. and other partner nations with the F-16 Fighting Falcon, the F-35 partnership will make for an unstoppable force. Eight other nations will be training alongside the U.S. on the new airframe. 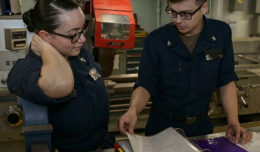 Other partner nations that will be joining the U.S., Norway and Australia include Turkey, Italy, and the Netherlands, in addition to Foreign Military Sales countries Japan, Korea and Israel. Luke currently has 32 F-35s and by 2024, Luke is scheduled to have six fighter squadrons and 144 F-35s. Norway will have seven F-35s stationed at Luke. Norway’s first F-35 Lightning II taxis to the parking ramp Nov. 11, 2015, at Luke Air Force Base, Ariz. The first two Royal Norwegian Air Force F-35s arrived at Luke in conjunction with their air force birthday. Royal Norwegian Air Force Maj. Morten Hanche, a 62nd Fighter Squadron training pilot, prepares for his first F-35 Lightning ll flight Nov. 10, 2015, at Luke Air Force Base. His flight coincided with the arrival of the first Norwegian F-35 and the Royal Norwegian Air Force’s birthday.